Apple cider vinegar is the latest DIY health craze that has taken over our culture, with remedies treating a range of conditions from skin problems to digestive woes. Apple cider vinegar is simply a combination of brewed fermented apples and a potent combination of bacteria and yeast. Though not necessarily pleasant tasting on its own (enthusiasts of fall’s staple, regular apple cider, won’t find a similar crisp, refreshing taste in this tonic), apple cider vinegar is a great addition to any health regimen. Apple cider vinegar is mostly apple juice, but with the addition of yeast. The yeast in apple cider vinegar turns all the fruit sugars into alcohol via fermentation, which is then turned in o acetic acid. That’s why it tastes so sour and smells so stinky. Apple cider vinegar is frequently used in cooking, as well as in salad dressings and to preserve fruits and vegetables. It has been used since the times of the ancient Greeks, who used to treat wounds and other ailments with the brew. While people use apple cider vinegar as a treatment for just about every condition in the book, many of these methods simply aren’t backed up by modern research. However, many scientific studies have found that apple cider vinegar can be used to treat a variety of health conditions with relative success. Though not a substitute for a doctor’s visit or as a treatment for more serious conditions on its own, apple cider vinegar can be a great addition to anybody’s diet for improving long-term health. Just about everyone will struggle with constipation at some point in his or her life. While occasional battles with constipation are common and don’t necessarily need to be treated, chronic constipation can lead to more serious health conditions. This is where apple cider vinegar comes in. It can relieve early bowel problems and help keep you regular, but keep in mind that too much apple cider vinegar can leave you a bit gassy. Apple cider vinegar can treat other stomach problems, too. If you have an upset stomach, you can drink some apple cider vinegar mixed with water (with additives like ginger or honey to further settle your stomach and improve the taste of the brew). Apple cider vinegar also has antibiotic properties, so if you have a bacterial infection that is causing health problems like diarrhea or nausea, that, too, can be relieved. Apple cider vinegar, like regular apples, also contains pectin, meaning it can also help with cramps and other intestinal pains. Of course, apple cider vinegar on its own won’t make you lose weight – unless, of course, that you find the taste so revolting that it puts you off eating altogether! That being said, apple cider vinegar can help reduce hunger pangs between meals. Acetic acid suppresses your appetite, reduces the amount of water you retain, and boosts your metabolism. Some studies have also suggested that apple cider vinegar can reduce your body’s propensity to hold on to excess starch, too. Apple cider vinegar can treat a range of skin ailments, from acne to bug bites. This is because it has strong anti inflammatory properties. For bug bites, consider diluting apple cider vinegar in a warm bath, then soaking for fifteen minutes or so. This can help relieve itching and soothe your skin if you’ve had an unfortunate encounter with mosquitoes or other biting pests. Apple cider vinegar can also help treat skin problems like acne. It is a natural toner, leaving your skin looking healthier and brighter. Since it has antibacterial properties, it can help calm your acne and the lactic acids found in the vinegar can soften your skin, reduce red spots, and regulate your pH. If you’ve spent too much time in the sun, apple cider vinegar can help with that, too. Add a cup or two of apple cider vinegar to a warm bath, then soak in the tub to help neutralize the sting of the burn. It will help restore your body’s natural pH levels and also cool your skin. If you suffer from skin ailments on your head, apple cider vinegar can help you out, too. An effective dandruff treatment, apple cider vinegar changes the pH of your scalp and makes it more difficult for yeast to develop. All you need to do is combine equal parts apple cider vinegar with water, pour it into a spray bottle, and spritz it onto your head. Let it sit for about fifteen minutes to half an hour, and then wash your hair. This step is important as you don’t want your head to smell like vinegar all day! That being said, completing this routine about twice a week has been shown to have serious benefits. Apple cider vinegar can even heal a painful bruise more quickly. Because it has anti inflammatory properties, it can help reduce a lot of the swelling and inflammation caused by these painful ailments. To use it, simply soak a compress in a mixture of apple cider vinegar and water. Lay it on the bruise for fifteen minutes at a time. The bruise should disappear more quickly as a result. Though not necessarily a health “problem,” per say, and more of a mere annoyance, hiccups are irritating enough to send any level-headed person to the Internet in desperate search of a cure. Apple cider vinegar may help stop hiccups by sending intense sour flavors to your taste buds. It overwhelms the nerves in your throat that are responsible for hiccups and can stop them in their tracks. Each year, an alarming number of Americans are diagnosed with type two diabetes. The number is only expected to rise. If you have some apple cider vinegar on hand, however, you can protect yourself against this insulin-related disease. 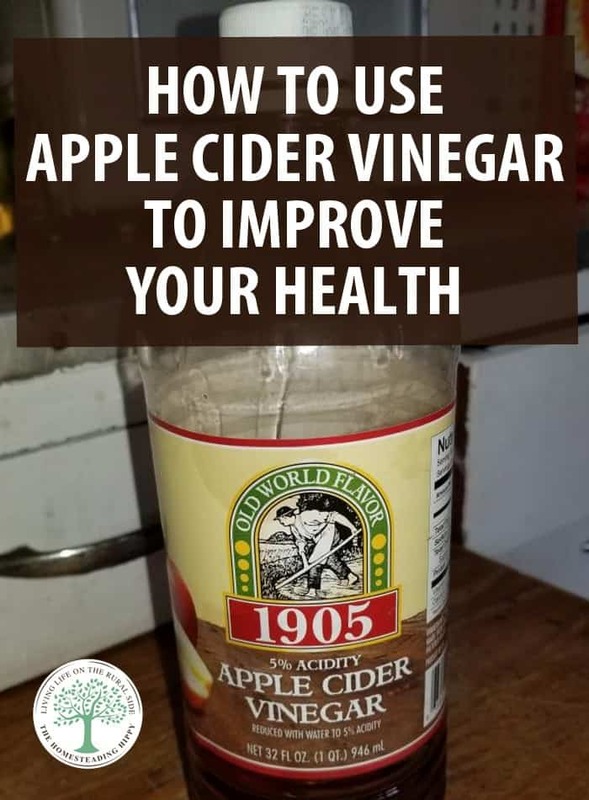 All you need to do is dissolve a couple tablespoons of apple cider vinegar in eight ounces of water and drink it before every meal, up to three times a day. Scientists think that apple cider vinegar is so effective in lowering blood sugar levels because it lowers glucose levels. It has an antiglycemic effect that helps insulin-resistant people digest high carbohydrate meals more effectively. While this remedy won’t work on its own to combat diabetes, it is a great way to keep yourself regular and to keep your blood sugar levels low. It doesn’t taste great, but you can supplement the flavor with lemon, honey, or other healthy, all-natural additives to round out the taste and give yourself a boost of other nutrients. Some studies have suggested that swallowing a few spoonfuls of apple cider vinegar daily may help lower your cholesterol. While more research is needed to back this up, this low-calorie, low-effort treatment may be a good way to reduce your reliance on cholesterol medications, especially if accompanied by a healthy diet and plenty of exercise. Why? The acetic acid found in apple cider vinegar helps adjust cholesterol levels, an effect that has proven significant in studies involving rats. Apple cider vinegar can even help relieve a sore throat. Because many sore throats are caused by viruses or bacteria, and apple cider vinegar has antimicrobial, antibiotic, and anti-inflammatory properties, it can help keep the pain at bay as well as kill germs. Apple cider vinegar also creates an incredibly acidic environment, which makes it difficult for illness-causing germs to stay alive. You don’t have to drink apple cider vinegar for this remedy to work; simply gargle with a mixture of apple cider vinegar, warm water (and sat, if you’re feeling particularly bold) every few hours until the pain subsides. Though not of direct use to your health, this indirect health benefit of apple cider vinegar is one that everybody can put to use. Simply combine a tablespoon of apple cider vinegar with a cup of water, and clean your produce just as well as if it had been grown in a fully organic setting. Once your mixture is fully stirred, pour it over your fruits or vegetables and then rinse to remove any pesticides. While this takes a little bit longer than simply rinsing your produce with water, ti is certain to get rid of all pesticide residue. Pesticide residues can lead to cancer, reproductive problems, and more, so adding apple cider vinegar to your normal produce-washing routine can really improve your health. Thanksgiving feast got the best of you? Don’t suffer the rest of the day. Instead, try apple cider vinegar to ease your burning heart. Apple cider vinegar, when combined with honey, is a great way to combat indigestion. Though apple cider vinegar is more effective when used before eating, this remedy can also be used post-meal to help heal any after-dinner sufferfests. No matter the cause, apple cider vinegar can help combat your stuffy nose. The next time you have a cold, sip some apple cider vinegar and water to help your sinuses drain. The potassium in the brew thins mucus (as does the water – staying hydrated is a great way to get over a cold quickly) while the acetic acid prevents germ growth. If you’re an athlete, or even just particularly active, you may find yourself suffering from extreme muscle fatigue every now and then. Apple cider vinegar can be an effective remedy. Excessive stress or exercise can cause lactic acid to build up. If you’ve had a particularly tough workout, drinking the amino acids found in apple cider vinegar can help combat this lactic acid accumulation. Apple cider vinegar also contains potassium and helpful enzymes that can relieve fatigue and cramping. For best results, drink a glass of water with a dash of apple cider vinegar the next time you are feeling especially worn out. If you suffer from restless legs or nighttime leg cramps, you are likely low in potassium. While you can get potassium from food sources, like bananas and potatoes, it can sometimes be a challenge to get enough. An easy home remedy is to mix a couple of tablespoons of apple cider vinegar with a teaspoon of honey and a cup of warm water. Do this before you go to bed – or even just whenever the leg cramps strike – to help banish your cramps for good. Stinky breath? Don’t run to the store for sugar free gum. Instead, use apple cider vinegar to squash your bad breath. You can either gargle it or drink it with a teaspoon of water. Whatever you choose, the vinegar (though stinky in itself) will help to kill the bacteria that caused the odors in the first place. Apple cider vinegar can also help whiten your teeth and remove stains. You can either brush with baking soda and apple cider vinegar as an alternative to toothpaste, or simply swish with apple cider vinegar each morning. It will kill bacteria in your mouth and gums, and also help to remove built up accumulation. Keep in mind that using apple cider vinegar too much might cause your gums to feel raw, and you may need to use it only every other day instead of every day. Obviously, if you have been diagnosed with cancer, you need to see a medical professional right away. Several studies have suggested that it can help prevent cancer from occurring or from worsening. This is because apple cider vinegar is high in acetic acid, which can induce cancer cell death. Apple cider vinegar is also high in chemicals known as polyphenols. These antioxidants help curb cell damage, slowing the aging process and reducing your likelihood of having certain types of cancer. You can even make foot deodorizer wipes from apple cider vinegar. All you need to do is pour a cup of apple cider vinegar over baby wipes or paper towels. Soak the towels overnight in the vinegar, and then store them in a Ziploc bag. You can use these wipes as antibacterial wipes or to help alter the pH of your feet. This will help reduce the numbers of bacteria on your toes that are causing your stinky feet. While the vinegar smells at first, the odor will go away as it dries. Apple cider vinegar can be used on other parts of your body that have a bit of a funk, too – although we wouldn’t recommend foregoing deodorant altogether. Some people have used apple cider vinegar as an all-natural deodorant, but because it fades quickly, it might not be effective for all-day use. Struggling with a yeast infection, or feel one just starting to come on? Apple cider vinegar can help with that, too. Add a cup or two of apple cider vinegar to a bathtub and soak for ten or fifteen minutes. While you can also take apple cider vinegar by mouth for this purpose, results have been mixed on whether or not it is effective. Apple cider vinegar can help relieve the pain and itching caused by poison ivy or poison oak, as well as the welts caused by a number of other plants. 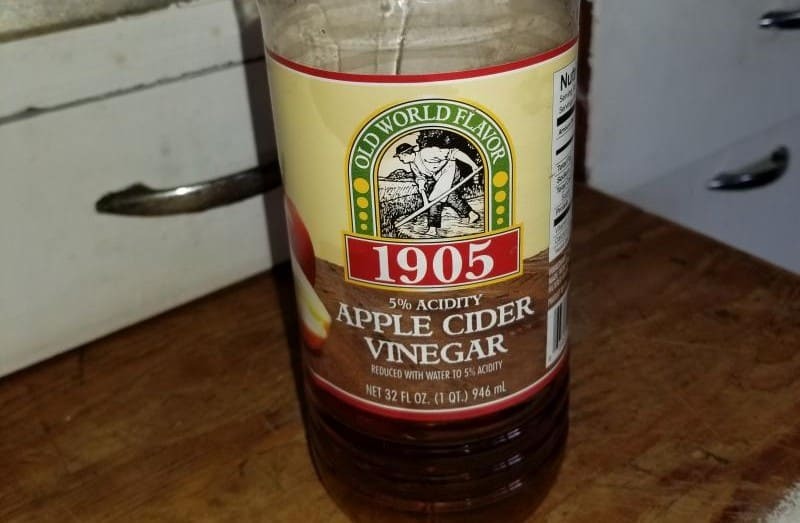 To use it, simply pour equal parts of apple cider vinegar and water into a spray bottle, and then spray it directly onto the itchy parts of your skin. Keep the mixture in the refrigerator between uses for an even more soothing, relaxing feel. Apple cider vinegar is naturally an antifungal treatment, so if you are suffering from athlete’s foot or another growth of fungus, consider giving it a try. Soak the area in a mixture of one part apple cider vinegar with five parts of water for about half an hour a day, or dab apple cider vinegar to the affected area with a cotton ball for best results. Hopefully you don’t find yourself covered with fleas, but your pet might be! The next time you find your dog scratching away, consider giving them a bath in diluted apple cider vinegar. The scent is unpleasant to fleas and will keep them far away from your four-legged friend. You can also use apple cider vinegar as a way to repel and eliminate ticks. Similar to its effectiveness in lowering high cholesterol, apple cider vinegar can also be used to lower high blood pressure. Acetic acid, the main ingredient in the concoction, can help lower blood pressure. This has been proven effective in rats, and while the benefits have not yet been duplicated in humans, it could be a safe way to lower your blood pressure over time. Ready to give apple cider vinegar a try? While it might be tempting to simply knock back a glass of plain apple cider vinegar every day (no matter how disgusting it may taste) to improve your overall health, make sure you are sipping it correctly. Apple cider vinegar is highly acidic, so while this will help balance your body’s pH and regulate a whole host of health conditions, drinking apple cider too much can damage your esophagus and tooth enamel, leading to a number of other health problems. As a compromise, you can instead mix a tablespoon of apple cider vinegar with your morning glass of water. This will provide you with all the benefits you need, without making you gag, destroying your teeth in the process. Try this remedy once a day or every other day to reap the maximum benefits from this magical elixir.